Ask the Advocate: Where can I find information and resources specific to men’s mental health? Meet Rick. He is a 49-year-old man living with depression. For years he has suffered in silence. He is not unlike many men who silently live with mental illness and do not reach out to ask for help. Recently, Rick reached out to Mental Health Minnesota. He wasn’t sure what he needed. He just needed the pain to stop. This simple but important step – reaching out – led Rick to the road to recovery and finally some relief. I was able to direct Rick to the Face It Foundation located in the Twin Cities. This organization is dedicated to men’s mental health recovery. They offer support groups, one-on-one peer support, activities and an online chat. The foundation gives men the support they need to face depression and take control of their recovery. Rick called me back a few months later empowered by finally opening the door to treatment and support. Which mental illnesses most commonly affect men? Depression and anxiety disorders are the most commonly diagnosed mental illnesses among adults in the U.S. Among men, depression is the most common mental illness – over 6 million men are affected by depression each year in the U.S. While depression is the most common mental illness among men, it is important to remember that men can be affected by any mental health diagnosis. Over one million men in the U.S. are affected by bipolar disorder. Approximately one in five men develop alcohol dependency at some point in their lifetime. You can read about the signs, symptoms, and prevalence of different mental health diagnoses here. If you are concerned about your mental health, taking an online screening is one of the first steps you can take to start getting help. Take our anonymous, online screening here. 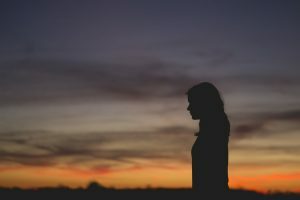 Where can I find support if I’m struggling with my mental health, or if someone I love is struggling with their mental health? The National Suicide Prevention Lifeline is available 24/7 and provides free and confidential support and crisis resources for people in distress. It can be reached by calling 1-800-273-8255. Additionally, every county in Minnesota has a 24/7 crisis phone line. You can find your county’s crisis phone line here. Anyone in Minnesota can reach the Crisis Text Line and text with a crisis counselor by texting “MN” to 741741. I live in a rural area and am having trouble finding mental health support. What can I do? Minnesota has a farm and rural helpline that is available to farmers and rural residents. The helpline is funded by the Minnesota Department of Agriculture and is free, confidential, and open 24/7. Counselors who answer calls are specifically trained to provide support to address the unique stresses that farmers and rural communities face. The helpline can be reached toll free at 833-600-2670. Are there resources specifically available for men? The Face It Foundation, where Rick found support, connects men with other men who have experienced living with a mental illness. They offer support groups, group activities, and an online support network. Psychology Today has a search engine where you can search for therapists, psychiatrists, and support groups. You can filter your search using wide variety of key words, including men’s health. Are there resources available for men in the LGBTQ community? 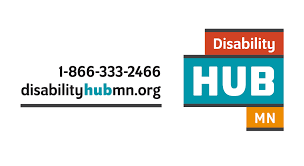 The Minnesota LGBTQ Directory is a website where you can search for providers who currently serve LGBTQ people, have knowledge of LGBTQ health disparities, and provide competent care to LGBTQ people. The Trans Lifeline is a hotline dedicated to the well-being of transgender people. The Trans Lifeline can be reached at 877-565-8860. If you are having trouble getting connected with resources and services, please call Mental Health Minnesota and ask to speak with a Peer Advocate. This entry was posted on June 26, 2018 by Shannah Mulvihill. June is Men’s Mental Health Month. 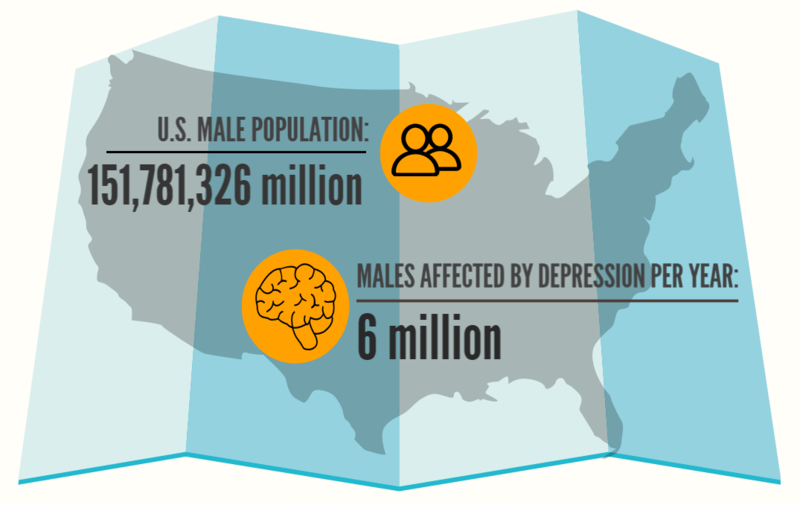 In the U.S., over 6 million adult men are experiencing depression in any given year. Depression and other mental illnesses are often treatable, yet men are less likely than women to seek treatment for depression, substance abuse, and stressful life events. This month, we interviewed Patrick Rhone, Mental Health Minnesota board member, mental illness survivor, and mental health advocate. I’m a writer and technology consultant living in Saint Paul, MN with my wife, 10-year-old daughter, two dogs, and three cats. I’m also a mental illness (bipolar disorder) survivor of nearly 40 years. In your experience, are there aspects of our culture that make it difficult for men who are struggling with their mental health to seek help? I don’t think it is any mystery that for most of the history of Western culture, the expectations that were placed upon men, especially by other men, were ones that were difficult to meet. We were expected to be brave, strong, not show fear, work hard, don’t complain, don’t ask for help, and especially don’t talk about your feelings. Also, especially, never admit a failing, feeling or fear. While we have worked very hard in recent times to correct such thinking, I still think it is a lasting narrative that is as seductive as a reason as it is an excuse. Many mental illnesses, such as depression, thrive on good excuses for not wanting to get help. I believe that because of these cultural and historical reasons, men are statistically far less likely to seek help. When they do, they are less likely to stick with it. On average, almost a hundred men a day die by suicide (around 35,000 a year). It’s a real problem. Do you think peer-to-peer support – for example, men connecting with other men who have been in their shoes – could be an effective way to encourage men to reach out for help? Most definitely. And, I am aware such organizations exist and are doing great work. For instance, locally there is the Face It Foundation (https://www.faceitfoundation.org) who focus their support offerings specifically toward men. It started with a simple premise, just getting some guys together for breakfast to talk about this stuff. It’s a great approach because it’s not some formal support group. It’s some guys having pancakes at Perkins. It’s casual and men can let their guard down when they realize all the other guys around the table are facing this stuff too. What are some things that everyone can do to work toward breaking the stigma that surrounds mental illness, and particularly the stigma that affects men who are experiencing mental illness? But, seriously, we need to change the language we use surrounding this stuff. Most people don’t know that there used to be great fear and stigma around cancer. No one knew what caused it, it was spoken of in hushed tones, and people were expected to just stay home, waste away, and die. There was great shame if you got it. Today, cancer is associated with words like bravery and courage. We fight cancer. We beat cancer. Those that do are cancer survivors. We fill the store shelves with pink stuff during awareness month and we celebrate those still among us. Such words change the way we perceive those who have cancer but also our funding and approach toward treatment and a cure. Not only that but the positive attitude has a direct, scientifically proven, effect on the chances of survival. We need to do the same with mental illness. We need to stop speaking about mental illness sufferers and speak of mental illness survivors. Because mental illness can and does kill. 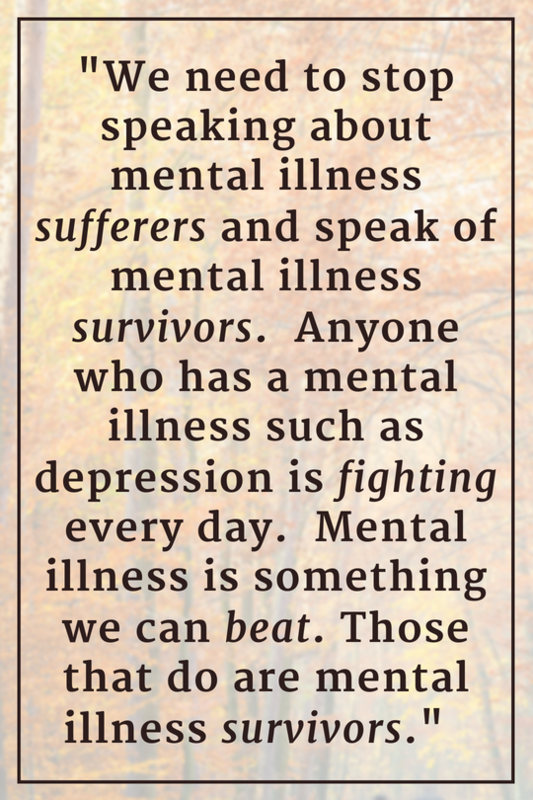 Anyone who has a mental illness such as depression is fighting every day. Mental illness is something we can beat. Those who do are mental illness survivors. If we can do this, if we can change the language and our cultural attitudes around this, it will help — men especially. It would turn something many view as shameful into a courageous battle. Maybe during mental health awareness month, we can fill the store shelves with green stuff and celebrate our survivors. This would change the funding and awareness. I can’t help but believe such a change in language and attitude would have an equally positive impact on the chances of survival too. 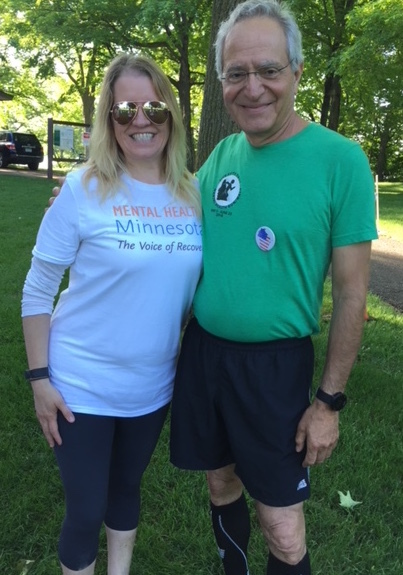 Mental Health Minnesota had the opportunity in May to participate in a national 5K series to increase awareness of mental health concerns around the country. The event was part of a national effort to raise awareness and funds to support mental health programs, where local participants joined Dr. Adel Korkor as he ran a 5K in every state over 50 days. “We were honored to be a part of Dr. Korkor’s work to raise awareness about mental health,” said Shannah Mulvihill, Mental Health Minnesota’s executive director. Nearly 80 people participated in the first-time event, which was held at Lake Rebecca Park Reserve in the Delano area. Learn more about the 5K series and Dr. Adel Korkor here. Mental Health Minnesota has received an $80,000 grant from the Minnesota Department of Human Services to support peer-to-peer groups for people living with a serious mental illness who are interested in seeking employment. The grant is part of nearly $950,000 recently awarded as a part of a new disability services innovations grants program to support people with disabilities in the community. Approximately one in 17 people live with a serious mental illness, and for many, symptoms of their illness have made employment difficult or nearly impossible. In fact, the unemployment rate for people living with serious mental illness (SMI) is more than 80%. Many have goals related to employment, but barriers remain to securing and maintaining employment, as well as being successful in their employment goals in both the short and long term. The “Steps to Employment” groups will provide a unique peer-to-peer approach to employment readiness, addressing topics such as establishing realistic goals, addressing barriers, stress management, self-care, working as part of a team, handling conflict, and more. The groups will be facilitated by Certified Peer Support Specialists, will be time-limited (eight hours total), and are intended to serve as a complement to other employment programs and services offered across the state. The program’s peer-to-peer approach will help ensure that a comfortable, safe environment exists for people seeking support from others, as well as some of the “soft skills” needed to ensure that they are truly successful in their work. Mental Health Minnesota will be seeking partnering organizations that serve clients who could benefit from this program. The groups will be offered at no-cost, given the grant support received. Please contact Kim Lutes, Mental Health Minnesota’s program manager, at kiml@mentalhealthmn.org for more information. This month, we interviewed Ryan Rasmussen, who works as a Certified Peer Support Specialist. Ryan discusses how employment played a part in his recovery journey, and what led him to his decision to pursue a career as a Peer Support Specialist. Ryan, what led you to pursue a career as a Certified Peer Support Specialist? Several aspects of my life led me to the decision to become a Peer Support Specialist. Over the course of individual therapy work, my therapist suggested it could be a career path I might enjoy and be fulfilled in. After looking into it, I decided that becoming a Peer Support Specialist would be a good recovery goal for myself, and further help me maintain my own recovery. I also believed that I was capable of helping others with my own lived experiences of trauma, addiction, homelessness, and extreme poverty. Becoming a Peer Support Specialist provided an avenue for me to do that, and be a living message of hope for others. How has employment played a role in your recovery process? Have there been things that are difficult about going back to work? Employment has been a significant cornerstone of my recovery process. 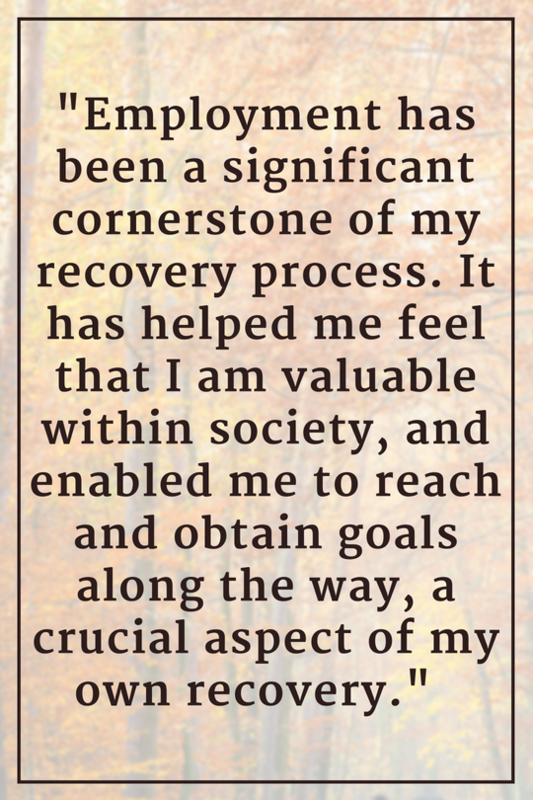 It has helped me feel that I am valuable within society, and enabled me to reach and obtain goals along the way, a crucial aspect of my own recovery. Initially in recovery, I worked on a clean and sober construction crew, in restaurants, and finally began my career as a Peer Support Specialist. Through working my way up from part time work at a Warmline speaking to people living with mental illness over the phone, to working at a Community Support Program, I began to work my way up and reach significant goals along the way. Currently, I have full-time employment working with the homeless population. Each goal I have achieved on my journey through the employment process has strengthened my recovery and enabled me to become more engrained in the recovery process of the clients I work with. It has been incredibly rewarding to me to be able to be a positive influence on the communities I serve. Although gratifying, the process of finding and maintaining employment has not been without obstacles for me. It has been hard to find a balance between building a career while also working to rebuild my personal life in recovery. Work can also be stressful, and can sometimes be a place where potential triggers exist. Maintaining a job with severe and persistent mental illness can be challenging, yet the rewards far outweigh the challenges I have encountered. Do you have any advice for someone who is in recovery and considering going back to work? Based on my own experience, people in recovery who are considering returning to work should be aware of the challenges or barriers that may exist, make a plan involving realistic goals related to employment, and seek support in whatever aspects they may struggle with during that process. Support may include others in their life or even third-party organizations that help people get back into the workforce. If possible, I believe that people should wait until they are truly ready and have a strong foundation in their recovery. What advice do you have for someone considering a career as a Certified Peer Support Specialist? Being a Peer Support Specialist is a very fulfilling career path. If someone is considering pursuing this path, they should first research the process involved in becoming a Certified Peer Specialist, and have a strong desire to be willing to utilize their own lived experiences to help others. Individuals interested in this career should ask themselves, “Do I want to get into a career that is primarily based around helping others with similar issues I have experienced?” If so, this may be a very positive, life-changing career for that person. This month, we interviewed Mary Richards, who leads a Depression and Bipolar Support Alliance (DBSA) group in St. Paul. Could you tell us a little bit about yourself, and what led you to begin volunteering as a support group leader? I am a Traumatic Brain Injury (TBI) survivor. I had the umbilical cord wrapped around my neck 66 years ago when I was born, and I have dealt with the resulting brain injury all of my life. As an adult, I began to experience depression related to my TBI. I was in counseling for both my depression and brain injury, and my mental health provider suggested that I start attending support groups in addition to therapy. In 1997, I began attending a Depression and Bipolar Support Alliance (DBSA) group in St. Louis Park. The facilitators of the group, Bobby and Sue, began to train some of the group members to become facilitators as well. I became a DBSA group facilitator, and also completed a Suicide Awareness Voices of Education (SAVE) support group facilitator training. After I completed the trainings, I began filling in as the facilitator for the St. Louis Park group that I attended, and then I became one of the lead facilitators of a new DBSA support group in St. Paul. Today, I also do data entry work, I’m president of a self-advocacy council, and I’m also on the TBI advisory council that advises the Department of Human Services. I was appointed to the TBI advisory council in 2014. Wow, so you have been a support group leader for quite some time! Yes, for just about 20 years – I started facilitating St. Paul DBSA group in the late 90s. 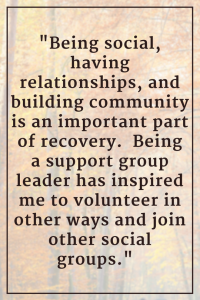 What do you think peer-to-peer support groups contribute to a person’s recovery? What is unique about the peer-to-peer model? Well, a peer-led support group means that there are no professionals, such as psychiatrists or therapists, involved. During peer-to-peer support groups, we do not focus on giving advice. We just share our own personal experiences, and can relate to each other because we often experience similar symptoms. Even if members of the group do not have the same diagnosis, we can often relate to each other’s symptoms. For example, I can often relate to people who have experienced memory loss due to medication or ECT, because I experience memory loss from my brain injury. We honor each person as an individual, are non-judgmental, do not analyze symptoms, and only give feedback or advice if a person specifically asks us. We are not trying to provide treatment, but rather to share what we are going through, and connect with each other on a personal level. We also sometimes share resources that we have found to be helpful such as the Minnesota Warmline, county crisis lines, homelessness resources, and 211. 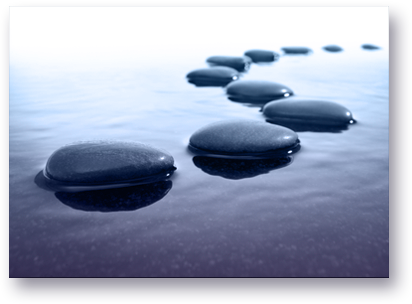 Has leading a support group contributed to your own recovery journey? I would say yes, it has. It has helped me become an active member of my community and allowed me to give back to my community. Being social, having relationships, and building community is an important part of recovery. Being a support group leader has inspired me to volunteer in other ways and join other social groups. I used to volunteer at the Humane Society combing cats. There is also a website called meetup.com that has given me all kinds of ideas for joining different groups. Through meetup.com, I joined a card club and a diabetes support group. I am also part of a brain injury support group. The St. Paul DBSA support group has also led to other social meet ups. A member from the group started a “share and get out of the house” group that meets at Caribou Coffee in the evenings and people just sit and talk with each other. It’s a place to be together when the group doesn’t meet. What advice do you have for someone who is thinking about starting a support group in their community? I would suggest attending an existing support group or attending multiple support groups, just to get some experience watching how the other facilitators operate the groups. It is also important to attend support groups just to gain an understanding of how they work, and how each group’s guidelines work. When you start your own support group, establish the purpose of the group and outline the guidelines. Mental Health Minnesota offers support group facilitator training if you are interested in starting a support group in your community. Apply to volunteer as a support group leader here! Mental Health Minnesota is expanding its support group program! Beginning in May, two peer-led Support Groups for Recovery and Wellness will be offered online. Online groups will meet every week and will be held on Tuesday evenings, beginning on May 8, from 7:00 – 8:30 PM and Saturday mornings, beginning on May 12, from 10:00 – 11:30 AM. Recovery and Wellness support groups are designed to foster an environment of inclusiveness and belonging. Group facilitators are peers – people who have personal experience living with a mental illness. Peer-to-peer support lends a unique connection, creates a safe space, and serves as a catalyst for hope. “As a peer-led support group, not a therapy group, our goal is to share ideas and feelings. Our hope is that you will find our groups a safe place to learn and grow through shared experiences, mutual support and respect,” said Frank Dorsey, Support Group Program Coordinator. All peer-led Support Groups for Recovery and Wellness are free and open to anyone who is experiencing a mental health struggle. Online support groups will require registration and be run via secure video conferencing software that is compatible with computers, tablets, and smartphones. View online support groups meeting dates and register here. Mental Health Minnesota also offers in-person Support Groups for Recovery and Wellness, as well as Depression and Bipolar Alliance support groups. These groups are drop-in groups and do not require any registration. 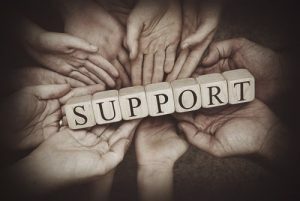 View all of our support group locations here.